[prMac.com] Frankfurt, Germany - Eltima Software really got into the holiday spirit and is now offering a hot deal with Eltima X-Mas Slot Machine. This slot machine though doesn't require you to spend any money at all, so basically everyone's a winner. The promo lets players get huge discounts for any product they've been eyeing. Everyone is welcome to try for as many apps as they want! * Eltima Xmas promo is open to everyone. Every participant is given a chance to get a desirable app with discount that will vary from 11 to 73%!!! 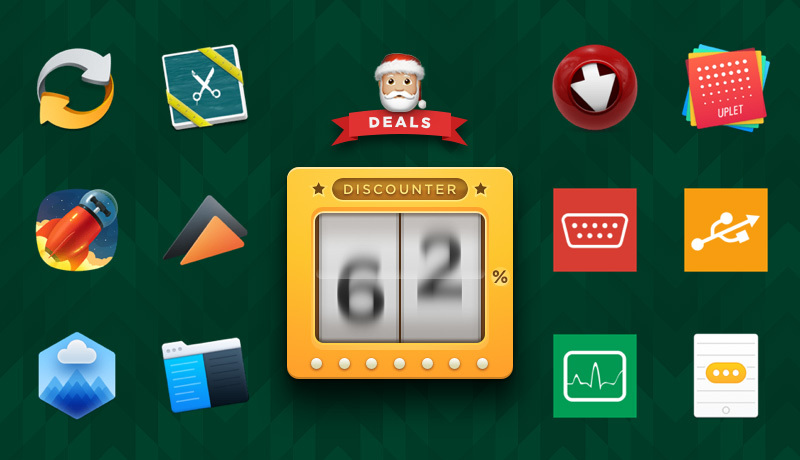 Spin the slot machine by pushing the "Start" button and get the random app discount. You will have 3 attempts (coins) for each application. * To increase your chances of winning the best discount, click the "Need more coins?" link and share the following message: "Can't stop! Gambling for the best discount for the coolest apps out there #eltimaxmas2016" on your Twitter or Facebook page. For each share on each of these platforms you'll be given 3 additional coins. * If you are happy with your discount, you can buy the app at a reduced price right away or you can play more. After the final attempt you won't be able to go back to a discount you won before. Eltima Software is a global software Development Company, specializing primarily in serial communication, mobile and flash software for Mac OS and Windows. Eltima Software delivers top-notch solutions having a friendly team of 40 professionals. Copyright (C) 2016 Eltima Software. All Rights Reserved. Apple, the Apple logo and Macintosh are registered trademarks of Apple Inc. in the U.S. and/or other countries.